WEST LAFAYETTE, Ind. — The Harry Potter books and films can be valuable tools to teach about death and loss, but a Purdue University professor who specializes in grief suggests parents of younger children pay close attention to the final movie in which a number of characters are expected to die. “Each child’s reaction will vary based on their temperament or personal experiences with death,” says Heather Servaty-Seib, a counseling psychologist and associate professor of educational studies. “One child might be sad about individual characters that don’t make it or the experience might heighten a child’s own sense of mortality and scare them. Parents should observe their child, be aware and sensitive, and be prepared to discuss such issues. Servaty-Seib suggests children read the books before seeing the movie. This gives them control of the mental images they form and could help them prepare for what happens in the movie. 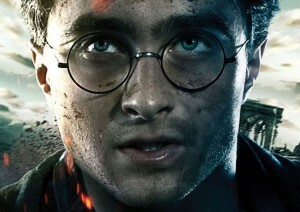 “Harry Potter and the Deathly Hallows: Part 2” is rated PG-13 and opens Friday (July 15). She says the series is a great teaching tool about death and grieving that parents and children can explore together. Death is a meaningful part of the series from the beginning – when readers learn that Potter’s parents were killed when he was an infant – through the deaths of other key characters, such as a fellow student, Potter’s godfather and a favorite professor.